The physician-dispensed product line is designed to enhance skin appearance, reduce signs of ageing, and provide other restorative benefits. Skin Medica’s leading product is TNS (Tissue Nutrient Solution) Recovery Complex®, which contains NouriCel-MD® a biotechnology-derived, naturally occurring mixture of growth factors and other key ingredients that, when applied topically, may improve the appearance of skin. NouriCelMD is included in an entire family of products that are supplemented by moisturizers,cleansers,chemical facial peels, and enhancement products to help each patient achieve maximum benefits. 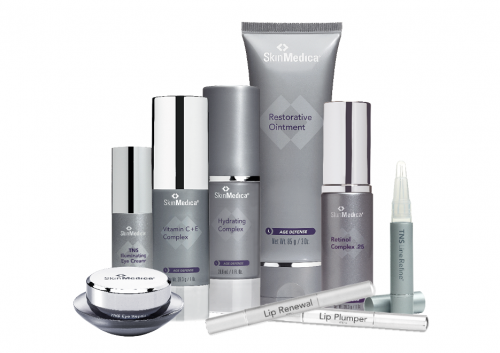 SkinMedica® constantly strives to anticipate consumers’ skincare needs and desires by developing innovative skin-enhancing products in both the pharmaceutical and aesthetic arenas.